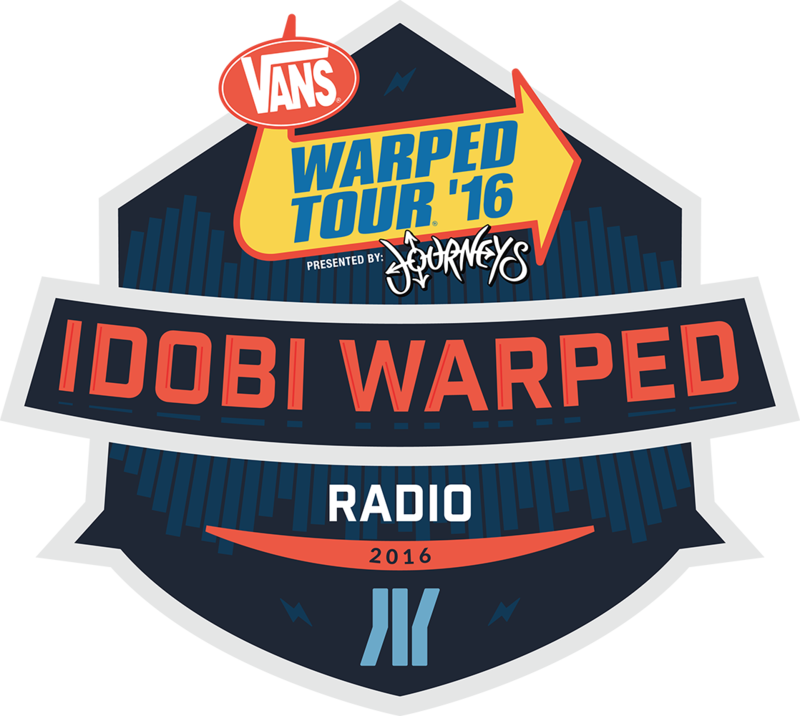 For the third year in a row, Vans Warped Tour and idobi Radio team up to produce the official radio show of the Vans Warped Tour, idobi Warped Radio. iWR gives listeners unprecedented access, coverage, interviews, and interaction with all their favorite artists on the summer's biggest tour. Segments include: Warped Roots, Artist to Artist, Warped Wits, Q&A, and more. Takeovers iWR will get hijacked by everyone's favorite Warped artists to share an inside view of what’s new, what’s next, and what’s Warped. Warped Roots Seasoned Warped artists take us down memory lane. What was it like when they first joined Warpedand what's it like today? And every stop along the way. Social Q&A Fans ask their burning questions via social media, and get the answers—no matter how weird or insightful—they haven’t heard on any other outlet. Artist Interviews idobi Radio personalities will go one-on-one with artists to get the scoop on the tour's latest. Artist on Artist iWR will pair two unlikely band members from different groups together to interview each other. Talk in My Shoes Go behind-the-scenes for a walk on the Warped side. We'll feature crew members that make Warped Tour possible, including chats with publicists, tour managers, workers, and Warped Tour founder, Kevin Lyman. Non-Profit Spotlight Gives back by encouraging listeners to get involved. We'll shine the limelight on charities and non-profits touring with Warped. Warped Wits A game show for Warped attendees to test their band and Warped trivia.